The Garden of the Crescent Moon Coven is an active Wiccan-based teaching coven in Kalispell, Montana. We teach and practice Earth-based spirituality and energy-work. 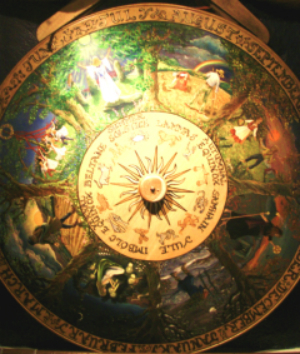 We offer classes, Open Sabbats, Moon Circles and other activities based on the Wheel of the Year. We offer both in-person training and online/correspondence classes. Our 2nd Degree students meet from 4:30 p.m. to 6 p.m. to cover the book material, go over homework, and plan Moon Circles and Sabbat celebrations. One Saturday a month will be a Moon Circle. This class is the First Year of the Second Degree. We will be using both the Witchschool 2nd Degree lessons and The Sevenfold Journey book by Judith and Vega. This is the first half of the Second Degree which takes 2 years at least to complete.